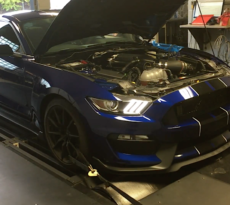 We wouldn’t blame you if you owned a GT350 with its 5.2-liter flat plane crank engine and have been content to keep it in (mostly) stock form due to the vehicle’s fantastic sound, handling, performance and aggressive looks straight from the factory. 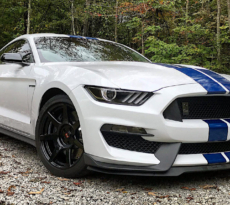 However, if you are like many Mustang6G members, there is always room to improve and customize to your own preferences — and HRE Performance Wheels shows us two unique options to help make your GT350 stand out from the crowd. 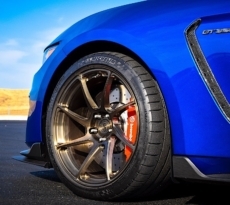 The company recently installed two different style HRE wheels on their in-house GT350, with a set of HRE Classic 305 wheels in Satin Gold on one side, and a set of ultra-trendy blue HRE R101 wheels on the other side. 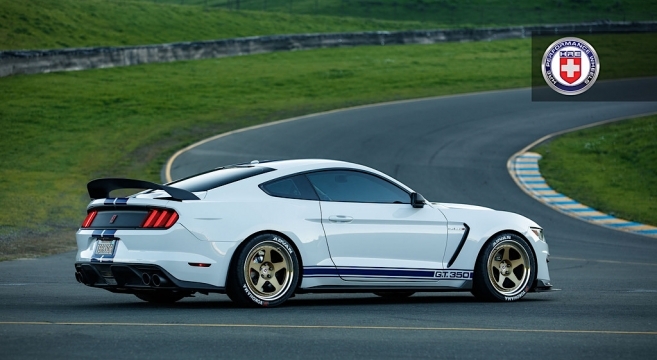 Check out the GT350 with Classic 305 and HRE R101 wheels photo gallery in the forum.